Will New Admissions Technology Make Paper Tickets a Thing of the Past? With all of the new technology available to event organizers and venues for ticketing and admissions—mobile check-in systems, QR code scanning on smart phones—will paper tickets become a thing of the past? Companies like Peatix are developing technology that eliminates the need for both tearing paper tickets and QR code scanning. Their new platform, ColorSync, is a mobile check-in system for events that does not require manually scanning each individual ticket. The pros for venues and event organizers are that with group ticket scanning comes less liability and a smaller door staff roster. Fans may even benefit, too, from the effortless check-in system. The big downside of ColorSync is that its capabilities vary with light and different devices make operation difficult. Because using it is an “acquired skill” and more work needs to be done before ColorSync is a reliable platform, paper tickets aren’t out yet! One of the main pros of using paper tickets is, of course, that it’s a tried-and-true system wherein a physical object, the ticket, is required for show admittance. There’s less room for sales and tracking errors because physical ticket stubs can serve as a safety net or backup if a computer system housing ticket numbers and attendee information that crashes. While systems like ColorSync have the potential to be utilized as a time saver, where fans check in by pulling up an app on their mobile devices to show doormen, human nature allows for delays when a guest comes unprepared: for example if someone forgets to load the app onto the device they’re carrying, isn’t ready with the open ticket when they arrive at the door, or any number of other delays or issues that already exist when fans check in with paper tickets. As with any technology, we can also assume that mobile check-in systems have the potential to be hacked, replicated, or otherwise compromised by those wishing to attend a show without paying or go backstage without permission. 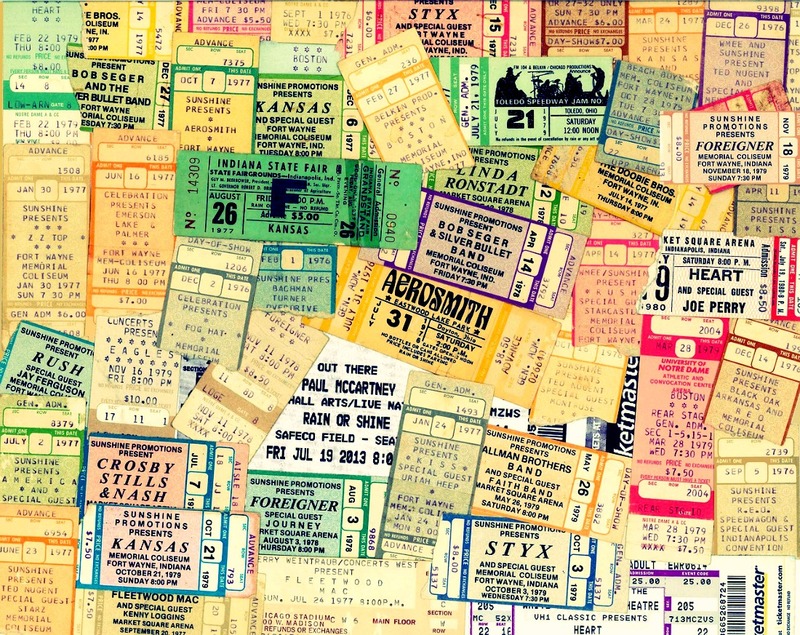 Concert tickets also serve a sentimental purpose, especially for fans who have made attending festivals and concerts into a lifestyle and take pride in the paper mementos they’ve amassed. What do you think? Would the elimination of paper tickets make for a more enjoyable event experience or are you, similar to a true book-lover who forgoes e-readers, happy with the way things have been going all along with paper tickets?